Looking for a Drug Rehab or Alcohol Rehab Center in West Virginia? Many different types of drug rehabilitation programs exist in West Virginia. The easiest way to classify them is into two categories: inpatient and outpatient. Before exploring specific treatment centers, it is important to understand the definitions of inpatient and outpatient treatment. Inpatient programs require the program participant to live at the rehab center, while outpatient programs typically involve having the program participant attend the facility during the day and continue to live at home. Choosing which type of drug rehab in West Virginia will best fit the addicted person's treatment needs takes careful consideration. For many, this difficult decision is made easier by speaking with a counselor or addiction treatment professional. Drug rehab in West Virginia help residents struggling with drug or alcohol abuse problems break the cycle of addiction. With the right treatment program, achieving sobriety that lasts a lifetime is possible. 2014 statistics from the Substance Abuse Mental Health Services Administration (SAMHSA) reveal 3,406 individuals attended a drug rehab in West Virginia that year. Of the 3,406 individuals receiving treatment that year, 59.3% were male and 40.7% were female. This report also noted the largest age group to receive drug rehab in West Virginia during 2014 was between the ages of 26-30 years old. The leading substances of abuse sending residents into treatment that year are a category called "other opiates". This category includes admissions for non-prescription use of methadone, codeine, morphine, oxycodone, hydromorphone, meperidine, opium, and other drugs with morphine-like effects. During 2014, 26.2% (893 persons) enrolled in West Virginia drug rehab programs were seeking treatment for other opiates addiction. Prescription opioid medications are the most serious drug threat in West Virginia. In the West Virginia county of McDowell, rates of drug abuse, addiction and overdose are exceptionally high. In a 2014 study conducted by the West Virginia Department of Health and Human Resources, McDowell county had the highest drug overdose rate in all of West Virginia's 55 counties. Moreover, the state of West Virginia experienced a 550% increase in overdoses between 1999 and 2004; the highest in the history of the United States (The Journal of the American Medical Association). Alcohol is one of the most widely abused substances in the United States. While alcohol is legal, misuse and abuse of this substance can lead to addiction, and potentially serious consequences both personally medically. Alcohol addiction affects nearly every aspect of the addict's life, for this reason it is important to receive professional help as soon as possible. In the SAMHSA survey on West Virginia conducted between 2009-2013, about 88,000 persons aged 12 or older (5.6% of all individuals in this age group) per year were dependent on or abused alcohol at some point during the year prior to the survey. Statistics show the percentage did not change significantly over this period. During 2014, 865 persons sought alcohol treatment in West Virginia; comprising a quarter of the drug and alcohol rehab enrollments in that state that year. 71.4% of those seeking alcohol treatment in West Virginia during 2014 were male and 28.6% were female. The majority of these clients were between the ages of 31-35 years old. Data from the 2014 West Virginia Behavioral Health Barometer reports the percentage of alcohol treatment in West Virginia for residents aged 12 or older was similar to the national percentage between 2009-2013 of 14%. Inpatient vs outpatient treatment in West Virginia offers residents two very different rehabilitation experiences. Inpatient treatment programs have the client move into the facility during their recovery program. The individual brings with them their essentials, such as clothing and toiletries. Their meals and sleeping accommodations are included in the program's package. On the other hand, outpatient treatment centers in West Virginia are not as structured, and the client does not live in the rehab facility. The recovering person continues to live at home and is able to maintain many of their personal obligations such as work, school and family life during their recovery program. While there is no "one size fits all" drug rehab method that suits all addicts, choosing the right type of program is a critical part of achieving lasting sobriety. Inpatient programs provide a more structured and intensive treatment environment; ideal for medium to severe addiction problems. Outpatient treatment centers benefit persons who are able to maintain their sobriety when not physically at the treatment center. A good fit for persons who have only recently developed an addiction problem, or have just "fallen off the wagon" and must maintain their personal responsibilities in their day to day life. Figures from The National Survey of Substance Abuse Treatment Services (N-SSATS) conducted by SAMHSA shows that on March 29, 2013, there were 101 substance abuse treatment facilities located in West Virginia. Of these 101 substance abuse treatment facilities: 81 were outpatient, 25 were residential/inpatient, and 5 were hospital inpatient. Data collected from the N-SSATS 2013 report indicates 9,542 persons received outpatient treatment in West Virginia that year, 492 individuals enrolled in inpatient treatment and 16 persons obtained hospital inpatient treatment for substance abuse. Reach data from the National Institute on Drug Abuse has shown that successful treatment outcomes are dependent on the person remaining in rehab for a sufficient period of time. Guidelines for what constitutes a sufficient period of time is 90 days or longer of participation in residential or outpatient treatment, and significantly longer for methadone maintenance. The National Institute on Drug Abuse indicates that a 12-month minimum for methadone maintenance is necessary to achieve sobriety, and sometimes years for more severe cases of opioid addiction. Statistics from the 2010 National Treatment Episode Data Set (TEDS) notes that nearly 50% of inpatient treatment clients completed their programs, while 38% of outpatient clients that year remained in their programs from start to finish. What Does Inpatient Rehab in West Virginia Involve? What does inpatient treatment in West Virginia involve? 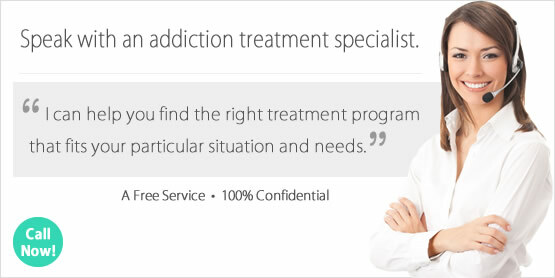 This type of drug rehab program has the client live on the premises during their recovery. Inpatient treatment can be provided in a number of different settings such as at a hospital, a rehab center, as well as in a residential setting. The length of time for these programs varies from around a month, to close to a year for long term inpatient treatment. Considered to be more effective than outpatient treatment, inpatient drug rehab offers the recovering person a substance-free environment during their recovery as well as structure and around-the-clock care. During inpatient treatment in West Virginia the client can expect to participate in group counseling, individual therapy, family therapy, 12-step meetings and other types of therapies depending on the program. Figures from the 2013 N-SSATS report on March 29, 2013 show there were 25 residential inpatient programs and 5 hospital inpatient programs operating in West Virginia on that day. What Does Outpatient Rehab in West Virginia Involve? What does outpatient treatment in West Virginia involve? This form of rehabilitation is designed to help residents understand more about their addiction as well as what they need to achieve and maintain sobriety. When compared to inpatient programs in West Virginia, outpatient treatment is intended for persons who are able to maintain sobriety without having to live in a controlled setting. Many of these programs include process groups that meet several times each week. During group, the client can expect to discuss addiction, recovery, relapse as well as other topics such as education and meeting with vocational agencies. Outpatient treatment programs benefit the client in a number of ways. This includes the ability to continue interacting with the "real world" during their recovery and maintaining many of their day to day responsibilities. The 2013 N-SSATS report taken on March 29, 2013 noted 81 outpatient treatment programs in West Virginia. A number of these programs offer more than one form of outpatient treatment, providing a wide range of services to help more than one specific type of addiction problem. During the 2013 N-SSATA survey, 78 of the 81 outpatient programs were considered "regular", 34 provided intensive services, 2 were considered day treatment/partial hospitalization, 25 provided methadone/buprenorphine or Vivitrol maintenance and 20 offered detoxification services. Statistics from the 2010 National TEDS Discharge survey show the median length of stay in outpatient treatment among persons 12 and older was: 115 days among those who completed treatment, 71 days among those whose treatment was terminated by the facility, 55 days among those who dropped out of treatment, 29 days among those who transferred to further treatment, and 70 days among those who failed to complete treatment for other reasons.